Carte Hall Certified Public Accountants sets high standards of excellence for a wide variety of accounting services. If you are looking for a professional accounting firm to help with your taxes, business or personal accounting, our firm is ready to help. 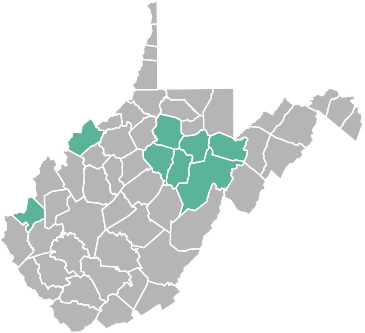 Being conveniently located in Elkins, West Virginia keeps us accessible to clients in Randolph, Barbour, Upshur, Lewis, Tucker, Wood, and Harrison Counties. At Carte Hall, we pride ourselves on being a unique, client-focused accounting firm that provides personalized attention to each and every client in Randolph County, and throughout our entire West Virginia service area. We strive to provide you with solid advice, quality service, and timely results. Let our years of experience and knowledge benefit you, your family, and your business. Carte Hall's customer service is second to none. We take great care of each client that walks through our door, sends us an email, or makes a phone call to request assistance. Serving our clients to the best of our ability is a passion at our firm. If you are looking for a professional team that focuses on quality, service, and client satisfaction to help you navigate your accounting needs, give us a call today at: (304) 637-2369. We look forward to discussing your specific financial goals and helping you achieve them.